Cisco is unveiling 25 London-based Network Academies to train the community, after it has completed its Olympic Games 2012 contract. 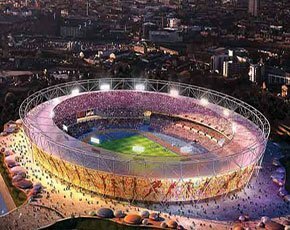 Cisco is set to open 25 Network Academies in East London, as part of the vendor’s plan to contribute to the Olympics legacy after it has completed its infrastructure contract with the London 2012 Games. The networking giant is the official network infrastructure partner for the games, and will be providing services such as routing, switching, security, firewalls and Wi-Fi. “The government is concerned about kids from schools and colleges getting the right skills they need, which these academies aim to provide,” he said. Currently there are 600 Cisco Network Academies in the UK - 100 of which are based in London. Foddering said Cisco has Academies based in other institutions too such as prisons. Additional areas include community centres, football clubs, homeless shelters and military bases. In addition Cisco will open two new East London centres as part of its British Innovation Gateway (BIG) initiative. These Innovation Centres - one in Shoreditch and one in the Olympic Park - will focus on driving innovation among UK SMEs. The initiative will include an annual awards event, which aims to reward entrepreneurialism. Firms that use the academies will have access to Cisco experts, in a bid to drive business growth. Warrior said these particular academies will be a place to encourage start-up businesses. “They will provide an environment of training and incubation for entrepreneurial ideas,” she said. To reinforce its connection with the Olympic Games, Cisco kicked off its Cisco Live 2012 event this week with the presenter for the first keynote speech running into the auditorium dressed in a tracksuit and holding the Olympic flame.